Hudson, WI 2 Bedroom Town Home – SOLD! We are delighted to have helped our clients purchase this fantastic town home in Hudson! It was an ideal find for our buyers, who are relocating to Hudson, WI. This home offers maintenance free living, with no HOA. The location is perfect, with easy access to shopping, entertainment in both River Falls and Hudson. 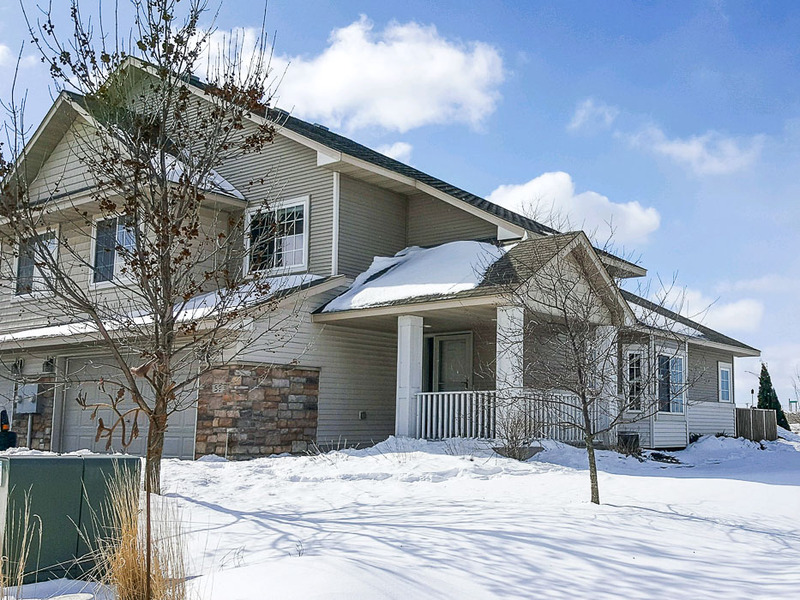 The Hudson, WI real estate market is competitive for buyers right now. With very low inventory, it’s not unusual for there to be multiple offers on the best homes. This was one of those situations, but we were confident in our ability to win the bidding war. We are pleased to have helped our clients submit the best offer while ensuring they are getting a good value. We know the Hudson, WI real estate market and can help you get the home of your dreams, too! John and Becky enjoy working with families relocating to Hudson and surrounding communities and are uniquely qualified to assist you in your relocation. Visit our Communities page to learn more about the Hudson, WI area. John and Becky Durham are a husband and wife real estate team. They work together with every client, meaning you get two agents working for you. They provide strong representation to help you get the best price and terms when you buy or sell a home.